The Luxor 56" Pneumatic Adjustable Height Standing Desk comes with a lever-activated pneumatic air cylinder along with a 150 lb weight capacity, so you can work in a standing or sitting position. The desk provides a surface area of 56" by 29.5", allowing it to hold a pair of monitors, computer, keyboard, mouse, and other accessories. The top of the desk is built using a 0.7" thick MDF board and teak PVC film, while the two legs are constructed from steel and anodized inner legs. 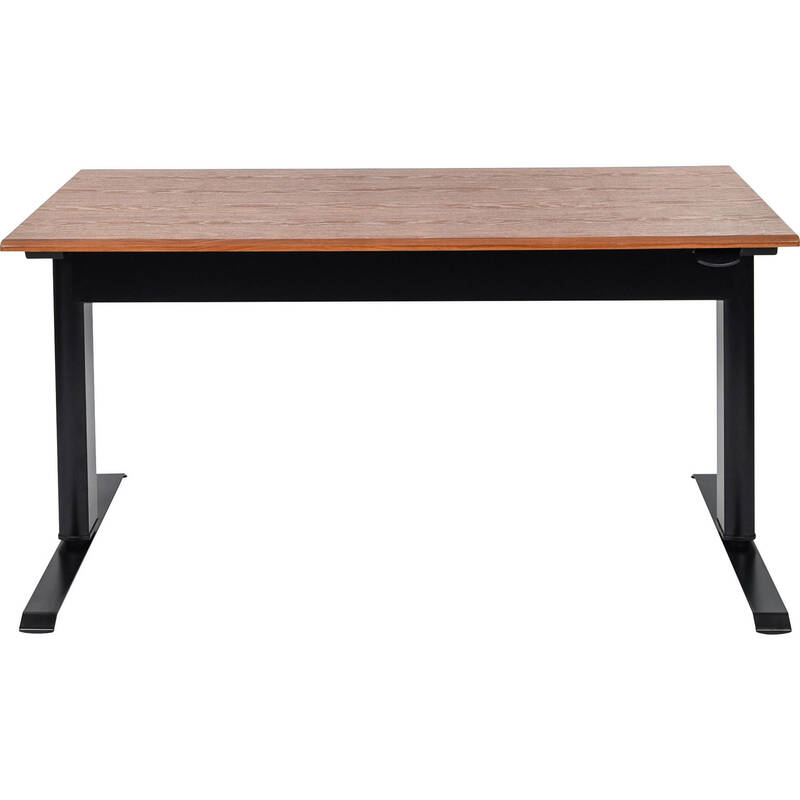 The lever-activated pneumatic air cylinder lets you easily adjusts the desk's height between 27.5 and 44.5". Additionally, the desktop comes with chamfered edges for comfort. Lever-activated pneumatic air cylinder easily adjusts the desk's height between 27.5" and 44.5"